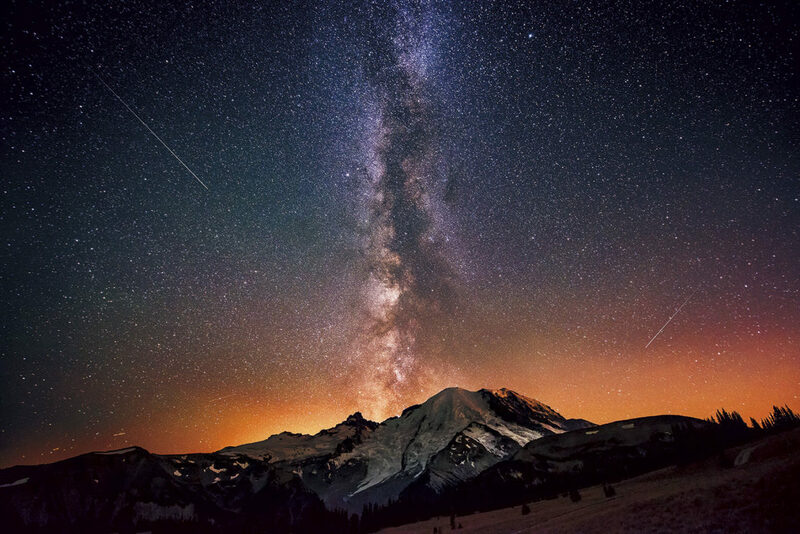 Cover photo: Milky Way galaxy over Mount Rainier from Sunrise Point—meteorites show up as streaks of light. Photo by Dave Morrow. This image was a winner in Smithsonian magazine’s 10th annual photo contest.